Discover soothing entertainment of a medieval style, amidst the spectacular setting of one of Northumberland’s, as well as England’s, finest castles. Trouvere Minstrels invite you to joyously discover their re-interpretation of traditional songs and melodies, based upon countless hours of historical research and their own personal musical experience, performed seamlessly upon their historic instruments. They are even known on occasions to teach nearby young peasants how to play their amazing array of medieval style instruments! 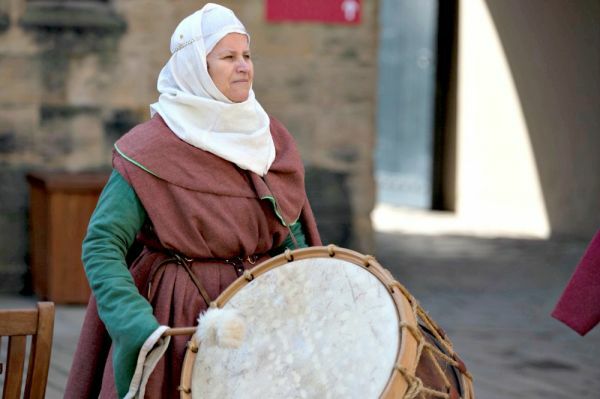 So why not visit Alnwick Castle this season for some fun filled family entertainment and dance to the Trouvere’s beat, all whilst discovering music as it would have been performed in the great courts and halls of the Middle Ages. These charming performances are free with admission to Alnwick Castle! Please check the ‘What’s On’ board upon arrival for show timings and locations, as these can vary throughout the season. Castle tickets must be bought to be able to attend the event.